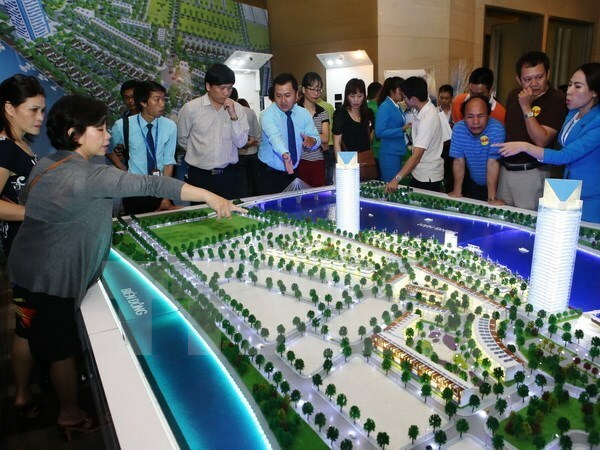 Da Nang (VNA) – Seaside resort real estate has become a hotspot for investors in the recent two years in the central city of Da Nang, said the property service group CBRE Vietnam on August 9. In particular, condodel segment is becoming a magnet thanks to its profitability from expected lease in the future. Since early this year, 250 high-end apartments from Coco Ocean Resort & Spa, part of Cocobay resort complex, have raised the total supply to 6,700. In the last two months this year, roughly 1,350 rooms from five projects are expected to be put on sale. In the next two years, the total new supply will amount to 9,000. Meanwhile, villas are sold less than condotels due to limited supply. Duong Thuy Dung, head of the CBRE Vietnam market research and development consultancy unit, said the wave of investment in reresort property is to meet visitors’ demand before and after APEC 2017 events in Da Nang, adding that profitability from villa and condotel projects in vantage locations in Da Nang, Nha Trang and Phu Quoc is higher than those in Hanoi and Ho Chi Minh City. Several projects offer annual profit of 8-10 percent for 5-10 years, she said. Also according to the CBRE Vietnam, a series of four-starred hotels recently opened in Da Nang, especially those along Vo Nguyen Giap street, are painting a new skyline for the city.